Arthur Marriot QC a stalwart supporter of arbitration and an internationally highly respected Counsel and Arbitration Member of the Society of Construction Arbitrators sadly passed away in September 2015. The Society was honoured by the company of Antonio Sanchez Pedreño, President of the Madrid Chamber of Commerce Business Mediation Centre and President of the Madrid Chamber of Commerce Arbitration Court. Sr Sanchez, under the topic “España” spoke to delegates about the effects of the recent economic turbulence and recovery in the Spanish construction industry, and of the growing importance of arbitration in dispute resolution. Members were joined by Mr Peter Allen, Head of Construction at Birkett Long LLP, solicitors. Mr Allen introduced the topic of Costs Management in Arbitration, drawing on his firm’s particular experience in the High Court of the TCC pilot scheme that preceded the CPR provisions introduced on 1 April 2013. His talk was followed by a lively discussion among the members. Douglas Stephenson, member of this Society, engineer, esteemed arbitrator and author, died on 25 December 2014. Members can now pay their membership subscriptions and selected event tickets online. Please use the links in the Members tab. The Society held its Annual Dinner in the splendid surroundings of the Armourers’ Hall on Thursday 6 November, 2014. The guests of the Society attending the dinner were HH Judge Havelock-Allen QC, HH Judge Grant, Mr Hamish Lal, Ms Ann Levin, Ms Anne Minogue, Mr Ron Nobbs, Mr Peter Rees QC, Mr Mark Roe, Ms Sally Roe, and Mr Mark Tiggeman. 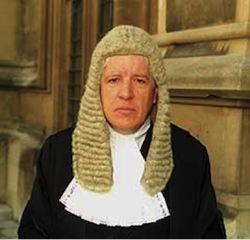 The Hon Mr Justice Akenhead kindly presented a short paper to the Society, and led the discussion on the subject of “Parkinson’s Law in relation to Adjudication”. The light-hearted subject yielded some interesting observations on the growth of adjudication and its effects on the fair resolution of disputes in the construction industry. John Sims - Does hot-tubbing need a protocol? John Rushton passed away peacefully at his home in the care of his wife Jenny on 22 May 2013, following a second battle with cancer. A new paper by Philip L. Bruner entitled "Rapid Resolution ADR" is available to download.